Britain’s biggest selling comedian Michael McIntyre has sold out in record time, selling out an arena show in THREE days with his BIG WORLD TOUR in March 2019. This eagerly awaited new show has proven that New Zealand fans can’t get enough of Michael McIntyre with a new show in Auckland announced. 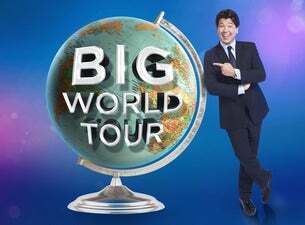 Michael McIntyre’s Big World Tour will see the BAFTA award-winning comedian perform in arenas around the world. The tour which started in late 2017 will come to NEW ZEALAND in June 2019.